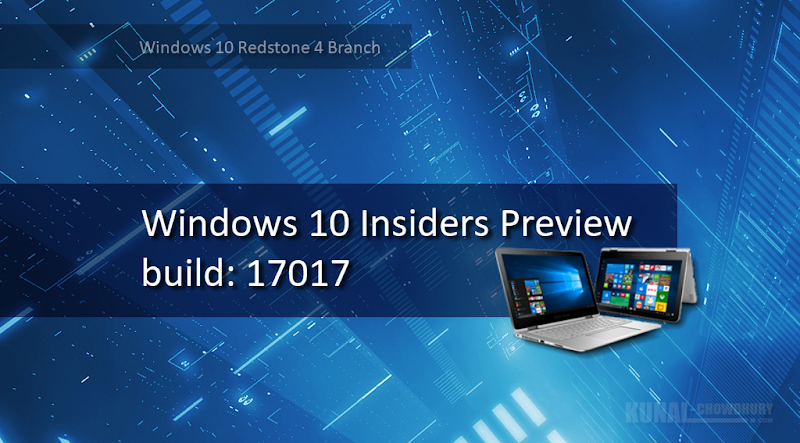 Microsoft released Windows 10 Insider Preview build 17017 to the Windows Insiders who are on the Fast ring, and that also includes the insiders who opted in to Skip Ahead. If you are among them, check for updates to get the new bits installed on your system. This is the first build, for the fast ring Windows Insiders, from the Redstone 4 (RS4) development branch. Checkout to know what's new in this build. What's new in Windows 10 build 17017? Windows 10 build 17017 introduces a new feature called Cortana Collection, which will gather things that you’re interested in, and put them at your fingertips in a neatly organized lists from which you can pick the ones you like best. Cortana’s proactive content is going to migrate to Action Center so that you have one place to go to find out what action to take next and to see the important insights Cortana has for you. This frees up Cortana’s user interface to provide tips, educating customers about what can be said to Cortana, and to provide tools for search so that you can get the information you need as quickly as possible. The list of apps that are configured to run at startup or user log-in is currently maintained via the Startup tab in Task Manager. You you can configure them in Windows 10 Settings app. You can navigate to Settings > Apps to see all startup tasks installed for the current user, and perform the operations like enable/disable. The list will also display the impact they have on your startup time. Apart from these new features, there were few additional changes, improvements and fixes to the existing features set. To checkout the entire list, navigate to the original announcement, published by Dona. Did you like the new features introduced with the build 17017? Share your views with us and don't forget to checkout the Known Issues those are currently available in this build. As it is from development branch, there's quite possibility of unknown/unnoticed bugs too. If you have come this far, it means that you liked what you are reading (Windows 10 build 17017 is now available for Windows Insiders in fast ring).